On AD NIL. In vicinity guest-house Na Růžku, Mořina 93, 267 17, +420 257 720 320. The traffic circuit pattern is modified to avoid village Kozolupy due to noise abatement in maximum possible cases, except for training flights and extraordinary cases with observing of take-off and approach safety. Local operation of ultralight aircraft (sporting flying equipments) and powered aeroplanes is not permitted after 1700 UTC. Only arrival or departure is possible. An operation of powered paragliders in ATZ is possible only south of RWY 10R/28L centreline outside the traffic circuit of RWY 10R/28L. In this case two-way radio communication is not required. Restricted traffic operation in Aerodrome Traffic Zone (ATZ) and LKBU flying area results from the vicinity of CTR Ruzyně, TMA I Praha and TMA II Praha. RWY 10R/28L - aeroplanes, ultralight aeroplanes, helicopters, powered gliders. RWY 10L/28R - gliders, ultralight gliders. 1.1Restrictions in accordance with vicinity of LKPR. 1.1.1Restricted traffic operation in Aerodrome Traffic Zone (ATZ) and LKBU flying area results from the vicinity of CTR Ruzyně, TMA I Praha and TMA II Praha. 1.1.2Outside AD operational hours or when Providing information to known traffic is not provided, non-based aircraft are not allowed to carry out local traffic. Only individual arrival and departure is pemitted. 1.1.3Arrivals, departures and local operation without radio communication is only possible by prior arrangement with AD operator. 1.1.4An operation of powered paragliders in ATZ is possible only south of RWY 10R/28L centreline outside the traffic circuit of RWY 10R/28L. In this case two-way radio communication is not required. 1.1.5The operation of all helicopters, including arrivals and departures, with exception of aeronautical activity for state needs and air rescue service is possible only after agreement with the aerodrome operator. 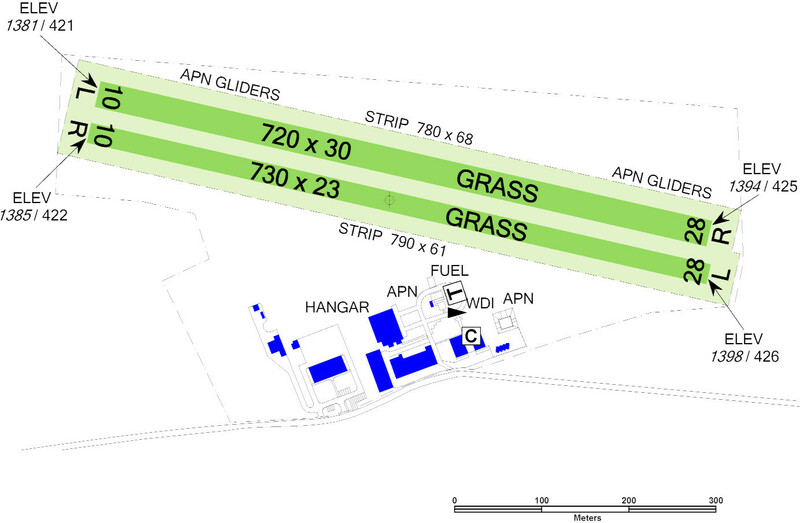 1.2.1RWY 10R/28L - aeroplanes, ultralight aeroplanes, helicopters, powered gliders. 1.2.2RWY 10L/28R - gliders, ultralight gliders. 1.3.1The traffic circuit altitude is 2500 ft/750 m.
1.4.1The traffic circuit pattern is modified to avoid village Kozolupy due to noise abatement in maximum possible cases, except for training flights and extraordinary cases with observing of take-off and approach safety. 1.4.2Local operation of ultralight aircraft (sporting flying equipments) and powered aeroplanes is not permitted after 1700 UTC. Only arrival or departure is possible. There is located the stone pit Čeřinka in a vicinity of LKBU. In time of groung blasting in the stone pit pilots-in-command are obliged to pay increased attention. Up-to-date schedule of planned groung blasting is available on http://www.akberoun.cz or +420 311 702 346, +420 311 702 111. 1.6Snow clearance is not provided in the winter season. 1.7Because of grassy surface of RWY, the restricted operation after prolonged rains is possible. 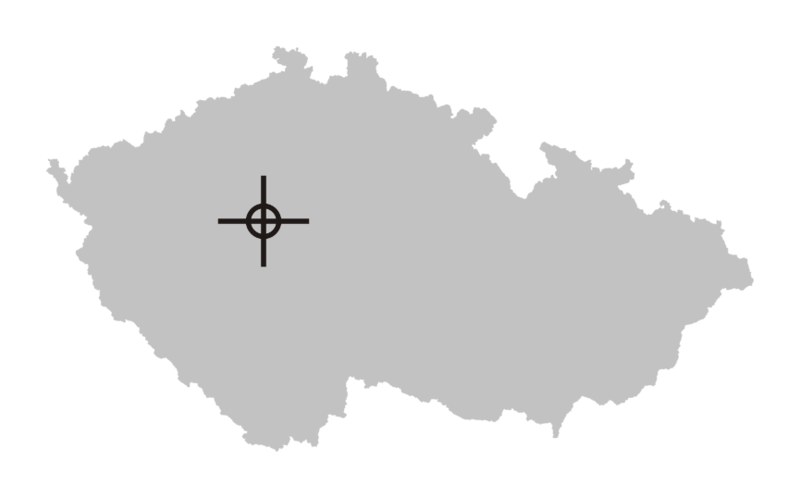 2.1Providing information to known traffic only in Czech language, English language only on request 24 hours in advance.